Some context for you lovely people. 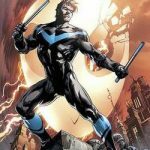 I just spent the last two or three weeks catching up with the last thirty issues of Injustice 2 in my free time. 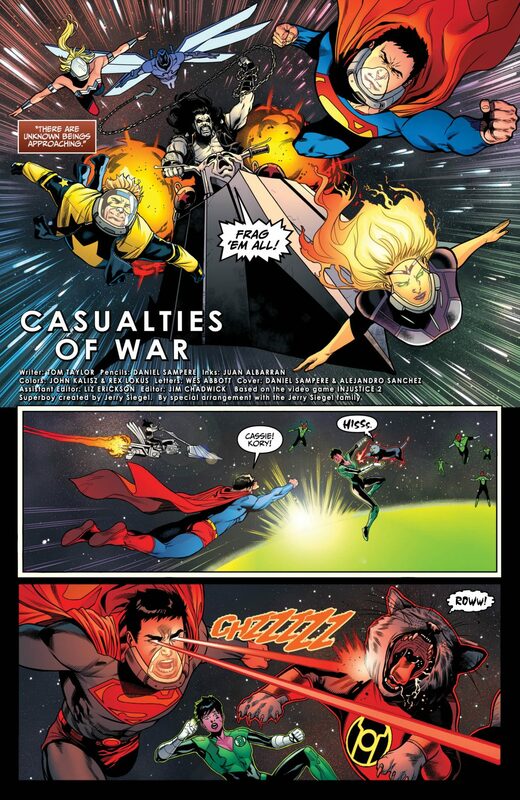 So I’ve managed to cram all that injustice goodness into my brainbox just in time for the release of the latest issue. 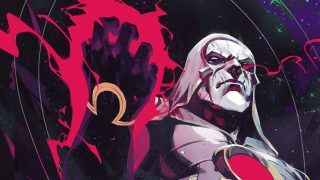 Yet another stellar offering from writer Tom Taylor, as he continues to take readers on a thrilling ride through the DC universe. Daniel Sampere and Juan Albarran only add to the chaotic collage, their artwork is simply fantastic. I don’t think this issue would work half as well as it does were it not for their excellent art. This issue was everything it needed to be. 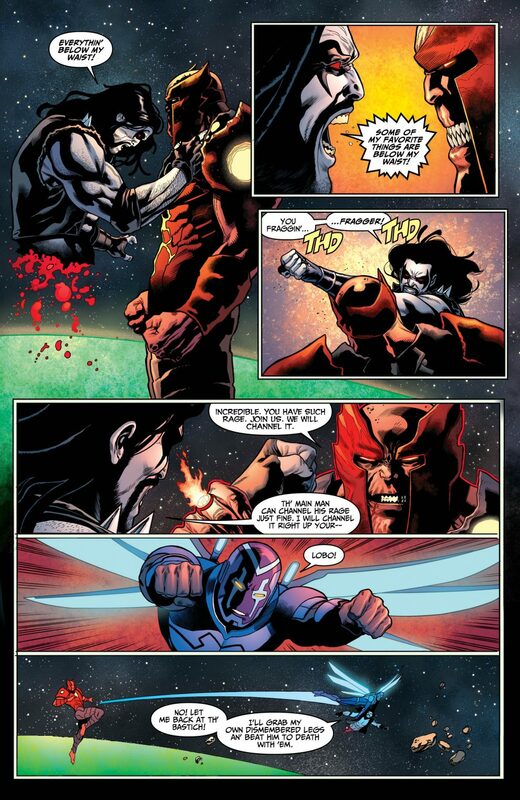 It was a blockbuster action movie in comics form. 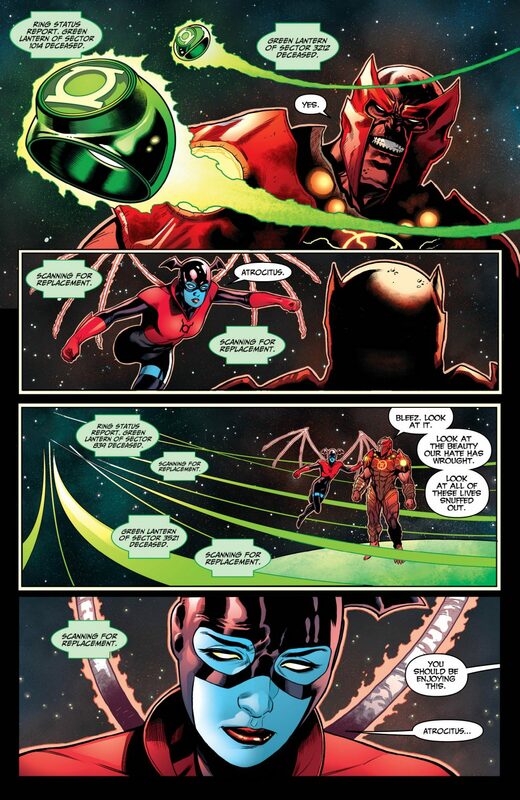 For those not caught up this issue jumps straight into the action, as Atrocitus and the Red Lanterns, which now includes Starro the Conqueror, are launching an attack on Oa. 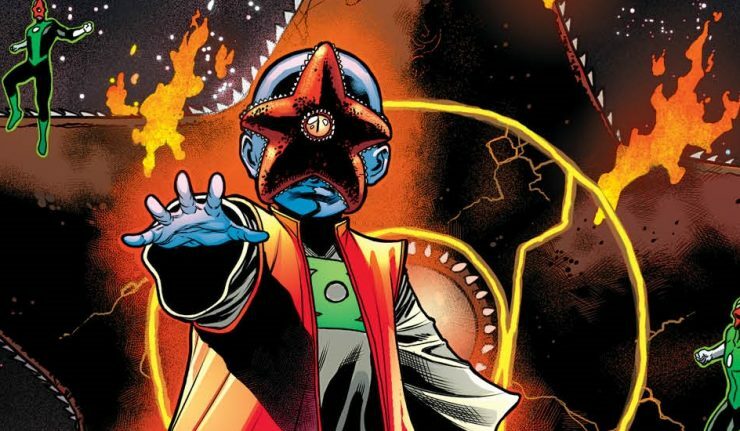 The Red Lanterns have the upper hand with Starro’s spores taking control of one of the Guardians and multiple Green Lanterns. 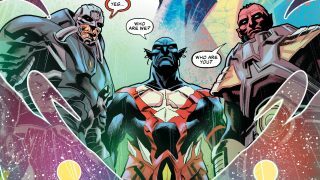 Even with the additional might of Superboy, Starfire, Wonder Girl, Blue Beetle, Booster Gold and Lobo, the Green Lanterns are outmatched. Retreating to the surface of the planet, the remaining Guardians realise that they are being heavily out numbered. 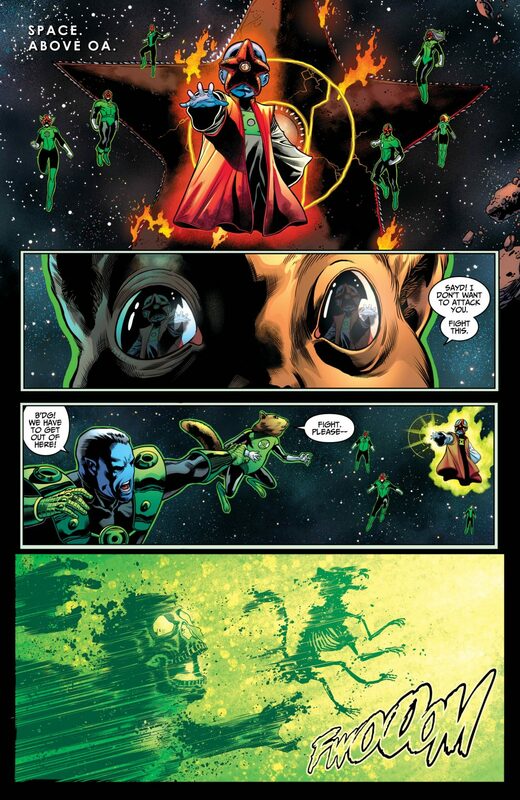 With nothing left to lose, the Guardians start recruiting new Green Lanterns. 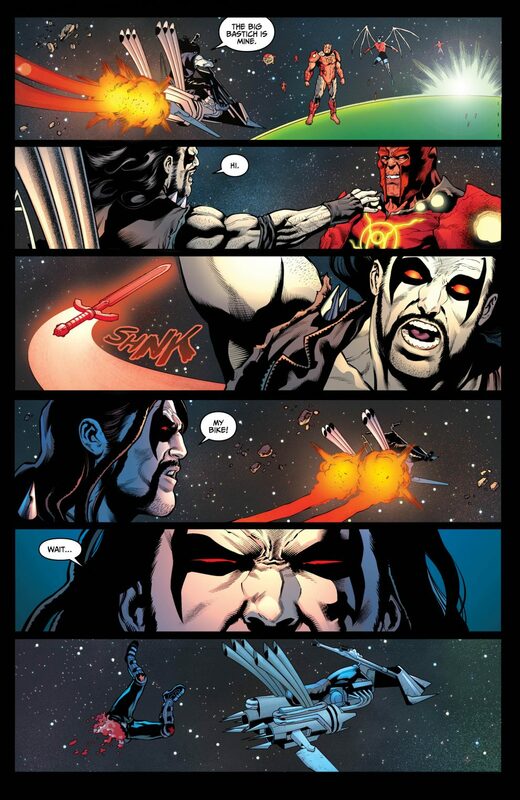 Lobo is definitely the stand-out character, stealing every panel he’s on. Which is difficult with the amount of chaos going on around him. Taylor really captures The Main Man’s attitude in his writing. Without giving anything away, all I can say is that I am highly excited for the next issue! 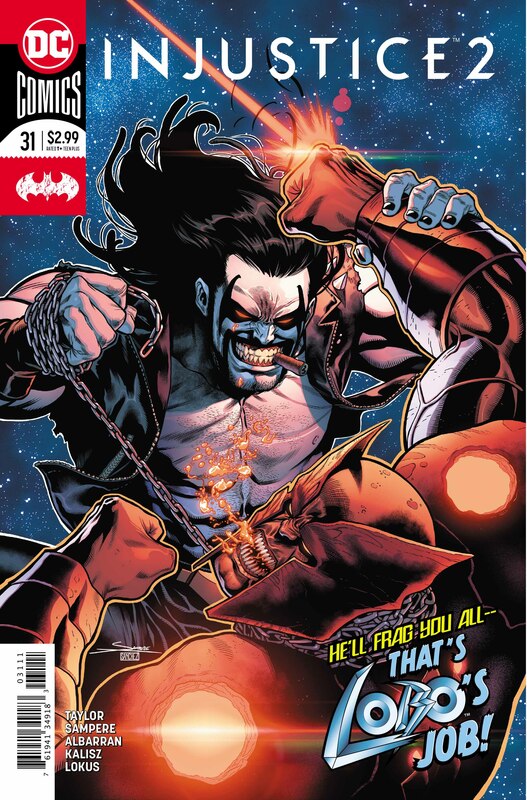 I suggest to all you fans of insane space fights to pick this issue up. If you love comedic characters and great writing, also pick this issue up. In fact… you just have to pick this issue up, and keep picking up all the ones that follow after it too. You will not be disappointed.